You’re more than welcome to share this Infographic on any support as long as you use an un-edited version of this Infographic and give us Credit including a Link to this Article (using the embed tag that you’ll find below), you can also contact us by email if you need a .PDF Version of this Infographic. 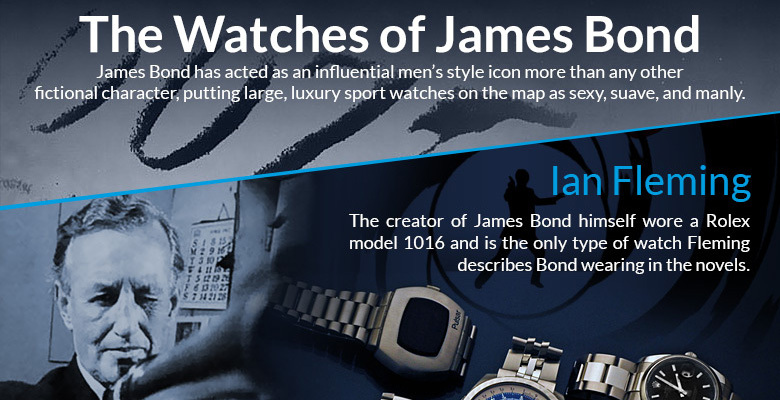 <a href="https://www.dreamchrono.com/2014/07/the-watches-of-james-bond-infographic/" alt="The Watches of James Bond Infographic" ><img title="The Watches of James Bond Infographic" src="http://cdn.dreamchrono.com/wp-content/uploads/2014/07/the-watches-of-james-bond-infographic.jpg" alt="The Watches of James Bond Infographic" /></a><br /><a href="https://www.dreamchrono.com/2014/07/the-watches-of-james-bond-infographic/">The Watches of James Bond Infographic</a> by <a href="http://blog.dreamchrono.com/" alt="Watch Blog">DreamChrono</a> Watch Blog. 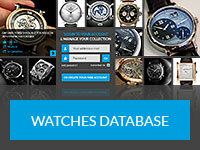 Originally from Paris but now enjoying the very agreeable climate of the Bahamas. I have been living here since 2008 although I still spend much of my time traveling. Since 2016 I'm working full time on a new project: SEOBUDDY, a SaaS Company making SEO & Content Marketing easy for businesses of all sizes.